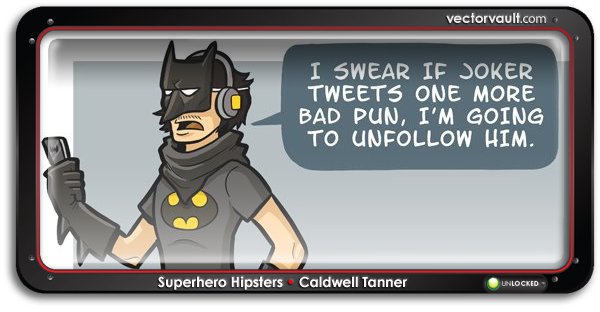 Let’s face it, super heros can be a little “douchie”. I mean all of that “look at me, I’m saving a lady from a burning building”. It’s a little much, no? 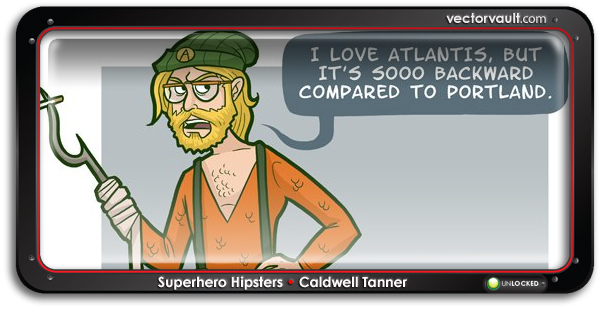 Caldwell Tanner takes these tight-wearing egomaniacs down a notch with a few clever renderings. Well done sir. 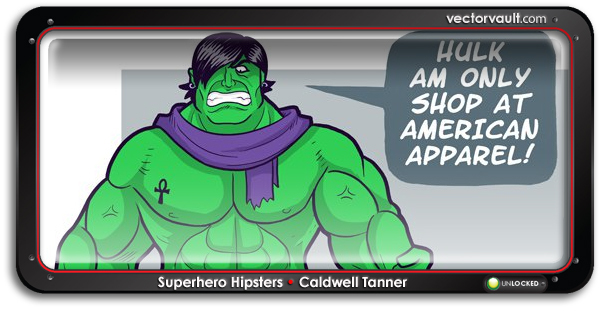 The Hulk – Fancy pants. 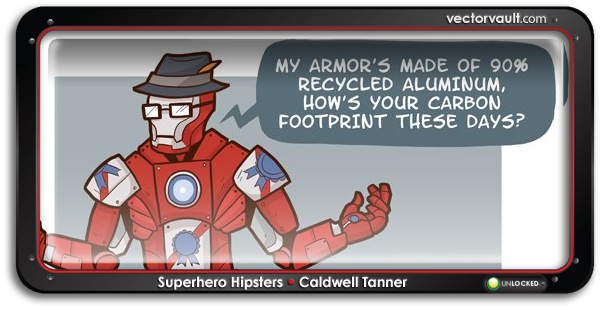 Iron Man – A little judgemental no?. Ugh – enough with Portland. Of course, I kid. 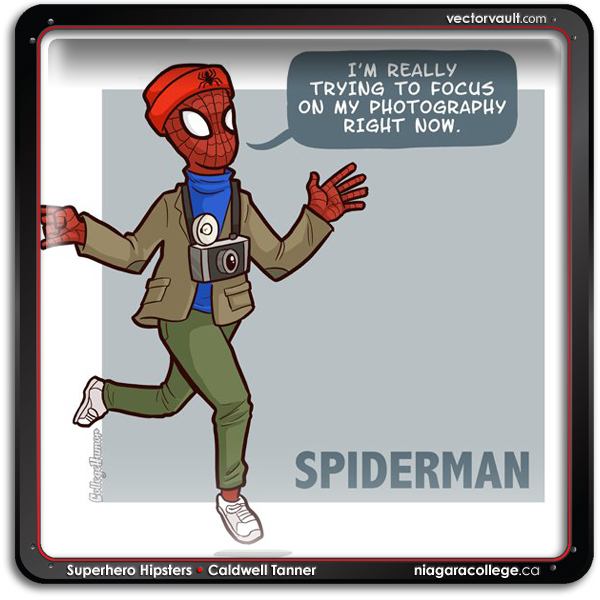 I love web slingers and caped crusaders. No offence intended.